More than a year after his death in Chanhassen, Minnesota, the Federal Bureau of Investigation has released its internal file on Prince. 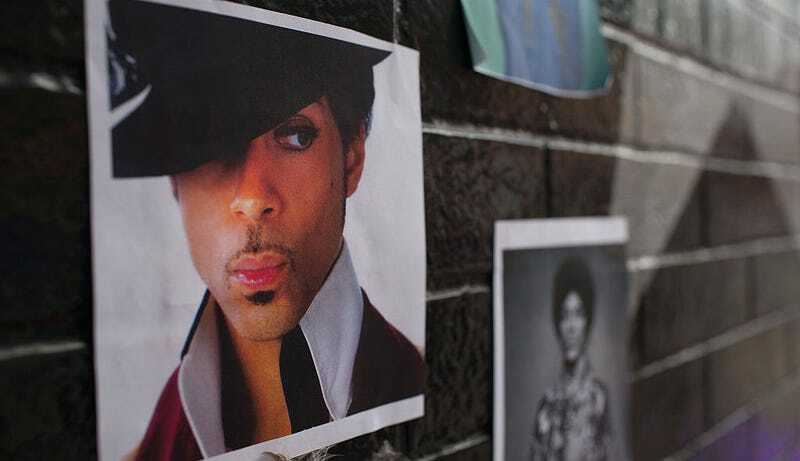 Prince’s file consists of materials about (what appears to be) two unrelated incident reports concerning an unnamed person’s attempts to sell some of Prince’s personal documents in 1997 and a series of threatening phone calls Prince’s office received in 2005. ███████ Prince Rogers Nelson (Prince) ████████████ Personal documents intended to sell those documents to the media in late 1996/ early 1997 ████████████ or those documents would be released to the media. ████████ and Prince are currently in court attempting to determine if ████████ can sell the documents. The death of Prince’s baby is also being investigated by authorities. On 3/28/97 AUSA ████████ was provided the facts and declined federal prosecution because the case does not meet federal prosecutive standards. ████████ advised that venue in this matter would not be Minnesota but NY. Complaintant is the ████████ to rock star Prince Rogers Nelson. She advised that the office has received (on telephone number ████████ three threatening messages from telephone number ████████ The caller is a female who identifies herself as ████████████████ Caller makes threatening statements against Prince, threatening to make his life miserable, and threatening bodily harm. Caller also threatens to commit suicide. ████ was advised to maintain the voice mail messages. ████ has no further information on the suspect. You can read the rest of Prince’s file below. We’ve also uploaded the file on DocumentCloud.